We know Maritime Insurance Policies. Maritime and Longshoreman Insurance helps cover losses incurred due to the Longshoreman and Harbor Workers’ Compensation Act. The Longshoreman and Harbor Workers’ Compensation Act and its extensions, provide medical benefits, compensation for lost wages, and rehabilitation services to employees who are injured during the course of employment or contract an occupational disease related to employment. Survivor benefits also are provided if the work-related injury causes the employee’s death. Maritime Employers Liability, MEL, is designed to provide coverage for law suits brought about by masters and members of a crew against their employers for injuries sustained in the course of employment. Longshoreman Insurance, USL&H, is a Federal Act, designed to cover the injuries of maritime workers. It provides coverage for injuries sustained or industrial illness contracted while performing duties on or near navigable waterways, including docks, marinas & ports. If a project is close to or on a water way, a specific form of Workers Compensation is needed, called a USL&H, as it is specifically excluded from the traditional state workers compensation policy. The Jones Act, also known as the Merchant Marine Act of 1920, allows sailors who have been involved in accidents, or become sick while performing their duties, to recover compensation from their employers. The Jones Act permits the claimant to bring about a negligence lawsuit against their employer. There is ambiguity while defining the term “sailor” or “seaman”. Not all employees will qualify as “seaman”. 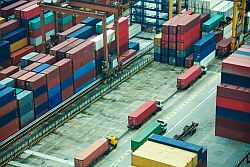 As with everything related to Insurance, differentiating coverage between USL&H and Jones Act can get very complicated, very quickly, leaving unintended gaps in coverage.